Co-starring: Alan Rickman, Greta Scacchi, David Warner, John Wood. Theatrical release outside of US, HBO TV in US. Co-starring: Eileen Atkins, Stephen Fry, Kate Beckinsale, Miriam Margolyes, Stephen Fry, Rufus Sewell. Shot on location in Sussex. Co-starring: Matthew Modine, LilyTomlin, Richard Gere, Steve Martin. Theatrical release outside of US. Shot in November 1992. 1991 To Be or Not To Be ... Sir Ian McKellen , Simon Callow , Antony Sher and others challenge the theatre's reputation for sexual tolerance. 1991 Them and Us Sir Ian McKellen goes to the Isle of Man to find out why a man can still be imprisoned for loving another man. Co-starring: Willard White, Imogen Stubbs, Zoe Wanamaker. Primetime TV; Royal Shakespeare production. Verbatim words of the protagonists of WW2. Co-starring: Jaclyn Smith, Robert Wagner. 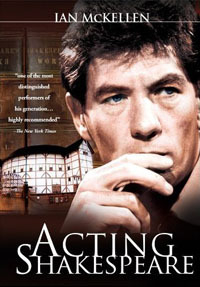 1984/85 filmed record of Ian McKellen's year at the Royal National Theatre. Also screened as two separate films: WALTER AND JUNE; LOVING WALTER. The shocking story of a mentally handicapped man at the mercy of society's attitudes. Adapted from DAVID COOK's award-winning novel, 'WALTER' was transmitted on 'Film on Four" on the new channel's opening night. Scenes at The Old Hospital, Liverpool Road, London shot in March 1982. Co-starring: Jane Seymour and Anthony Andrews. The filming was undertaken at a live performance at Wembley Conference Centre in April 1978, with the Royal Philharmonic Orchestra conducted by Previn. The cast for this production was Ian McKellen (Alexander Ivanov), Ben Kingsley (Ivanov), Frank Windsor (the Doctor),John Woodvine (the Colonel), Barbara Leigh Hunt (the Teacher) and James Harris, aka Jim Harris and James Pickering, (Sacha). Co-starring: Judi Dench as Lady Macbeth. "Ian McKellen, Judi Dench and John Woodvine (Banquo) lift themselves to levels of excellence seldom encountered on the small screen. Or anywhere else. Television is honoured by this Macbeth." �€” Herbert Kretzmer, Daily Mail UK, 5 January 1979. Co-starring: Janet Suzman & Tom Bell. Co-starring: Stanley Baker, Rachel Roberts. Cpt Plume and Sgt Kite descend on unsuspecting Shrewsbury in search of new recruits. But doesn't their prize catch, Mr Wilful, bear a striking resemblance to the beautiful and scheming daughter of the local Justice? 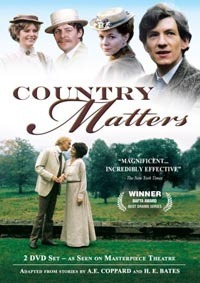 "The story of the last days in the life of the great writer Leo Tolstoy (Harry Andrews), whose passionate concern for the people of Russia began to destroy his relationship with his wife Sophia (Dame Peggy Ashcroft). In 1910, at the age of 82, he left home, family and his tempestuous marriage to go on his last journey through the Russian winter - a journey to death." Filmed on location in Morocco. First broadcast 18 October 1970. Prospect Theatre Company in the 1969 Edinburgh Festival Production recorded at the Piccadilly Theatre, London. in repertory with revival of RICHARD II. Prospect Theatre Company recorded at BBC London studios. 1969 WHAT IF IT'S JUST GREEN CHEESE? Co-starring: Judi Dench, Roy Dotrice, Michael Hordern, Dudley Moore, Pink Floyd. "Omnibus" anthology, on the eve of Apollo 11's first moon-landing. "Ian McKellen brings to the part of David a lightness I have not seen in earlier Copperfields and his sense of comedy in the dialogue and situations makes this a happier story than it sometimes is." �€” The Stage. "The liveliest character was Wolf, given a performance of hateful, demoniac zest by Ian McKellen. He reminded me of one of those fashionable film-star-photographers that turn up on TV, with sharp little teeth they always look prepared to sink into the interviewer's wrist." �€” Peter Black, Daily Mail. "What does a reasonably intelligent young man do on a damp, windy Sunday out of season? Victor meets Elaine. Is the problem solved for him?"